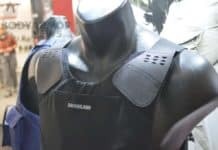 A bulletproof vest has again prevented a Brazos Valley police officer from being seriously injured or even killed. This is now twice in 10 days that this has happened. Calvert Officer Stephen Magnes was shot in the back on New Year’s Day just as he was exiting his patrol car. 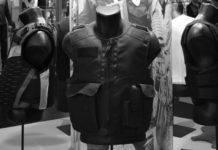 Thanks to his bulletproof vest he sustained only minor injuries, investigators said. Robertson County deputies immediately responded to the shooting, which occurred 11 miles north of Calvert, and took a 27-year-old man into custody as a suspect in the shooting. Magnes, who had only been with the Calvert police department for 2 years, was transported to CHI St. Joseph Hospital. He was examined, treated and released from the hospital within hours, according to officials. Petrick Lashane Jones is the accused shooter, and is said to be cooperating in the investigation, according to the Robertson County Sheriff’s Department. They and the Texas Rangers are the agencies investigating the shooting. At this point investigators still have not released a motive for the officer being shot. Investigators in Bryan think they know why Officer Joel Bravo was shot. He is the 11-year veteran police officer who was also shot while wearing his bulletproof vest. Bravo was in the process of investigating a robbery at a convenience store located on College Avenue. A suspect was found and taken into custody shortly after the shooting. Bravo was taken to the hospital and released a few hours after the bullet pierced his vest. A second man was later arrested in Grimes County having to do with the robbery. Following the New Year’s Day shooting, the sheriff’s department released a statement saying that Magnes had offered a “courtesy ride” to a woman he saw walking north on Texas 6, heading toward Hammond. 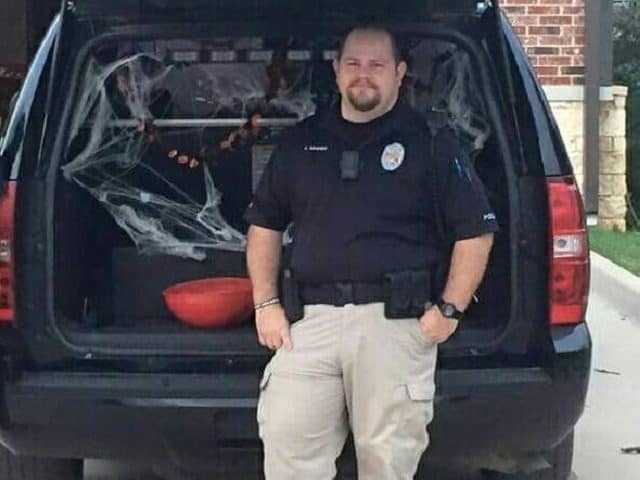 Upon arriving at the house, which was in a rural area, Officer Magnes, who was in uniform, exited the car and was immediately shot, the statement said. The woman suffered no injuries. The gun was fired several times, with the officer being struck once, according to the statement. It was still unclear Sunday afternoon whether there were any witnesses to the shooting. Magnes thanked his well wishers and the community at large on his Facebook page. His father, Robert Magnes, wrote on his Facebook page that his son was resting at home and doing well, although he was bruised and sore. Only 26 hours prior, the Brazos Valley Law Enforcement Association posted a request on Facebook for everyone in the community to have a moment of silence in honor of the 139 police officers who were killed while in the line of duty this past year, and praying that the number didn’t go up.